Y ou know San Diego for its ever-present sunshine and delicious craft beer. Unfortunately, the former makes you crave the latter, which makes you seemingly impervious to the former, which is a vicious cycle that too often ends with a really, really bad sunburn. Fortunately, when you feel like covering up that leopard-print Speedo to take a day off from the beach, we have plenty else to keep you busy. On top of biannual horse-racing seasons at one of the best tracks in the nation, Del Mar, there's a lot of incredible stuff to do in San Diego aside from living out your fantasy of shredding the gnar to the adoration of bikini-clad sunbathers because surfing is, like, really hard. Below you'll find totally legal ways to get high, shoot marines (not at the same time, miscreant! ), and even a few ways to escape our No. 1 commodity if baby's got a sun rash. With a whole shload of local sea life, San Diego is a top destination for anglers and those aspiring to… angle(?). To get yourself hooked up, head to Point Loma Sportfishing or Fisherman's Landing where boats jostle at adjacent docks, ready for trips ranging from Gilligan-length half-day jaunts to target sea bass and rockfish at the kelp beds, to week-long adventures on the high seas in search of bigger game: yellowfin, bluefin, swordfish. 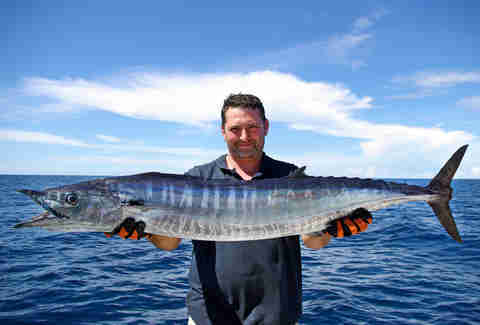 Both companies post daily fish counts from their respective fleets, and make it easy to research the best captain and boat to suit your needs. San Diego's signature slab of urban nature is 40% bigger than New York's Central Park and about 100% wilder, with plenty of beer and museums and cages for most of the animals. You'll find a wide range of entertainment options like the aforementioned San Diego Zoo, a pavilion where live pipe organists play free concerts during warmer months, the Old Globe theater, and museums that include the Museum of Photographic Arts and the Reuben H. Fleet Science Center with interactive science-y stuff and the world's first IMAX dome theater. 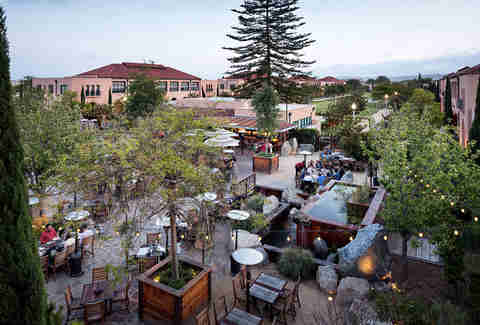 Once you've gotten your high culture at the likes of the Mingei International Museum, bolster your appreciation for the mundane with the high ABV at taps of locals and seasonal cocktails at Panama 66, an open-air eatery attached to the San Diego Museum of Art’s sculpture garden. 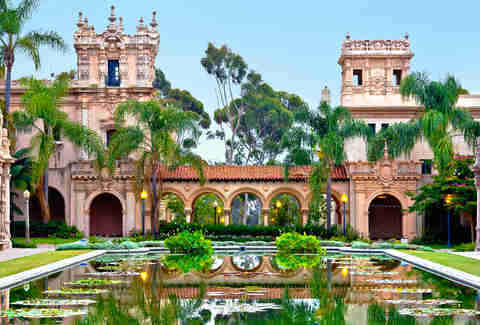 For a more formal option, head across the Plaza de Panama to The Prado -- a Balboa Park mainstay from one of San Diego's best restaurateurs. If you prefer playing the bait for a far superior hunter, check out one of creatively named Shark Diver's six-day charters to one of the preeminent great white shark diving locales in the world: Isla Guadalupe, 150 miles off the coast of Baja, Mexico. Famed for its gin-clear waters with up to 150ft of visibility, Isla Guadalupe is home to hundreds of great whites, some exceeding 15ft in length. It takes about 28 hours to motor to your baiting grounds, so you end up with three full days of flirting with a shark-y death in multiple locations. 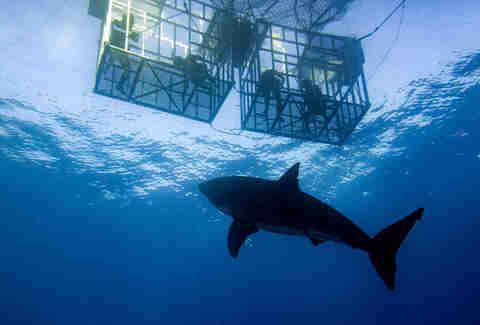 As for the cage-diving itself, it uses the ol' garden-hose system, meaning you're breathing surface-provided air. That negates the need for an expensive diving license while also providing a rope to cartoonishly scurry up when you see your first great white. Passports are required; updated wills, optional. 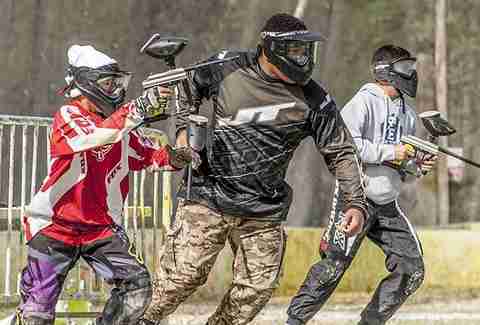 Likely your only chance of surviving a gun battle with United States Marines, the Paintball Park on base at Camp Pendleton allows civilians a unique opportunity to play weekend warrior. The park features several themed fields of play pocked with makeshift structures (even a castle! ), trenches, thick chaparral, and obstacles like retired military equipment and giant dinosaurs. You know… for authenticity. If you want to play war with the big boys, you best plan ahead. New base access restrictions require all visitors to let them know seven days in advance by filling out a short form (essentially driver's license number and contact info), and then presenting a valid ID at the gate. Probably don't go if you're currently AWOL. San Diego Zoo: If you haven't heard of the world-famous San Diego Zoo, then you have yet to experience the depth of our city's self-obsession. As with pretty much all other instances, though, we have a right to be smug. The basic, no-planning zoo tour is excellent, but look also for some elevated experiences: small group tours of the Panda exhibit before it opens, five-hour tours with personal guides who lead you to off-exhibit areas inaccessible to plebes, and the "Crazy About Cats" tour which involves visits with some fierce felines who may or may not give one single flip about your presence. Because they're cats. San Diego Zoo Safari Park: Formerly (and forever to locals!) 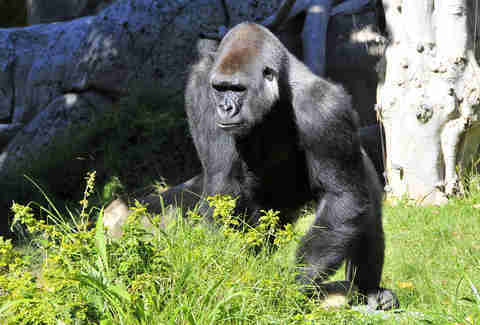 known as the Wild Animal Park, the San Diego Zoo's Safari Park is an equally impressive affair for fans of the feral. The park offers a ton of unique options, e.g., bird's-eye views in a 30-person, tethered hot-air balloon and zip-line rides over animal enclosures. The eight different safaris include a treetop ropes course and a "Roar & Snore" sleepover amid the beasts. SeaWorld: Although its popularity has waned in the face of PETA propaganda films, and you no longer get to see badass trainers ride Shamu's nose 30ft into the air, there are still about a million reasons to visit SeaWorld. Chief among them are the Shark Encounter that lets you casually stroll through shark-infested waters via a Plexiglas tube; and VIP experiences like donning a SeaWorld wetsuit and getting in the water with bottlenose dolphins and big-butted beluga whales. Given your rental car agreement probably doesn't cover international incidents, hop on a 20-minute trolley ride from Downtown and you can stroll across the US/Mexico border to Tijuana (at least until Mexico finances The Wall). Although you'll be walking in the footsteps of countless hard-up 18-year-olds who came before you, the scene has drastically changed from the oasis of bad decisions it once was. Over the past few years, the borderlands have seen an explosion of culture and a markedly reduced number of actual explosions (jkjk, it's safe!). The birthplace of "Baja Med" cuisine offers solid craft beer and art scenes, one of the fastest-growing wine regions in the world, and incredible food that isn't Baja Med. There's even still Papas & Beer, if you're, like, really set on those bad decisions. San Diego averages 263 sunny days each year, giving you ample opportunity to hit the ol' dusty trails. Options are everywhere. 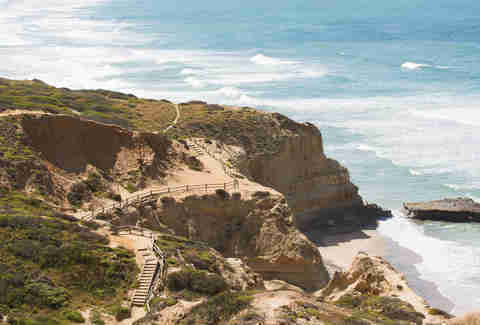 If you only have time for a quickie, Torrey Pines State Natural Reserve is your best bet. With 2,000 acres of coastal paradise, the reserve has several barely sweat-inducing loops under a mile and insanely Instagrammable views. To make more of a dent in all of that In-N-Out you've been smashing, head to Cowles Mountain Trail. While it's not much of a mountain, Cowles is the highest point in San Diego County with great views of the not-too-distant skyline from the peak. The strenuous-yet-well-maintained trail is three miles round-trip to the summit, but the unimpressed can extend the hike an extra four miles by turning left near the peak, heading toward the communications tower, and following the signs for Pyles Peak. If you find yourself with a bit more time, Palomar Mountain has several easy-to-moderate trails stretching up to four miles, including a 2.2-mile trip to Caltech's Palomar Observatory. While you're waiting for all the recreational weed to show up, get high the old-fashioned way -- with booze! Ha, kidding, you'll totally die doing these two things if you're sideways. 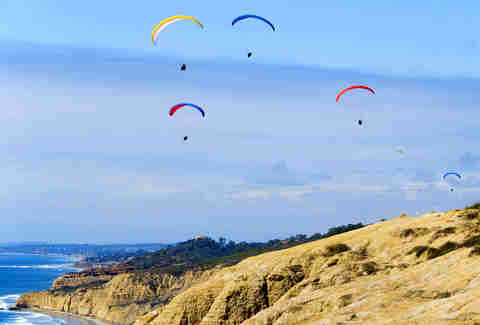 Get high with altitude and adrenaline instead at the Torrey Pines Gliderport, where the staff will strap you and an instructor to a da Vinci-esque flying contraption before unceremoniously flinging you from the sea bluffs to challenge gravity by gracefully paragliding or hang gliding on the updrafts. If you need the mainline-equivalent of an adrenaline rush, head out to the airstrip at Skydive San Diego. They'll strap a stranger to your back and unceremoniously fling you both out of an airplane. At 13,000ft, you'll free-fall for a full 60 seconds -- more than enough time to soak up the incredible views of the San Diego skyline silhouetted against the Pacific, or to soak your underwear with the sort of fear that anyone, not just bees and dogs, will be able to smell. Formerly a Naval Training Center, Point Loma's Liberty Station has recently undergone a full civilian makeover, becoming a top local destination for those partial to consuming delicious things. With great shopping, acres of grassy fields for revelry, tons of boozeries, and food for days, it's worth your time to explore the grounds. sandwiches, Kevin Alexander, at the award-winning/confusingly named Breakfast Republic before heading to the Public Market to pick up a mint-infused Kryptonite cold-brew coffee from The WestBean Coffee Roasters. From there, we'd head to beerunch at the connected Mess Hall, which has a full bar, with rotating taps lorded over by the experts at Bottlecraft, and a killer selection of bottles to-go (stop here first so you can shop with a drink in your hand). 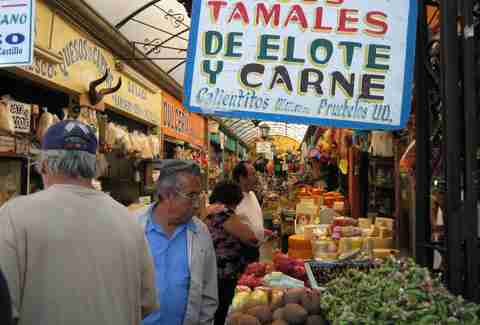 Once we'd worked up an appetite, we'd cruise back into the Public Market to go HAM on some appetizers in the form of empanadas from Paraná, or maybe some grilled cheese sandwiches from Venissimo Cheese. Properly whetted, we'd then head over to Soda & Swine for Jason Maitland's legendary meatballs and some of the city's best cocktails. Then, out of nowhere, meteorologist Chrissy Russo would send us shots from the bar, and we'd respond by high-fiving, teasing a couple of dance moves, and sending back a napkin scrawled with "Jimmy O's, 9:30pm," because it's been a long day already. From Soda & Swine, we'd walk to a special showing of Harry Potter and the Half-Blood Prince at THE LOT -- a swanky theater/restaurant combo where every screen is stocked with reclining lazy-boys and full food and drink menus. Properly hyped for a magical evening, we'd Accio an Uber to Jimmy O's to meet up with Chrissy for a '90s rap dance-off. Kevin would win. Likely making it the capital of the world's most beer-friendly sport, San Diego has more than 80 golf courses that range from the affordable/public type, to the expensive-yet-still-public, to the private and holy-crap-that's-expensive variety. Affordable courses run from the myriad beginner-friendly, par-three venues like Mission Bay Golf Course, to the forgiving, well-maintained full-lengthers like Encinitas Ranch and Balboa Park. If you don't mind shelling out a bit more, the shining municipal jewel in San Diego's cap is Torrey Pines -- 36 holes of coastal perfection that's basically a slightly less-rich man's version of Pebble Beach and home to the PGA's annual Farmers Insurance Open. The 18 holes of the North Course were recently reopened after a seven-month renovation by 16-time PGA Tour champ Tom Weiskopf. Unfortunately, the course is so popular that the city allows non-residents to book online only up to four days in advance, so you need to be vigilant on the refresh button to get a slot. 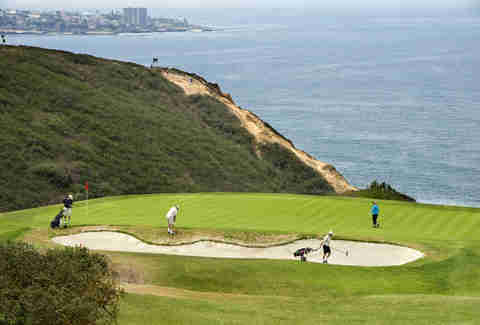 If you don't mind dropping a couple of bills on your round, North County San Diego offers world-class options including the course at Four Seasons Aviara, the 36 holes at the Omni La Costa Resort & Spa that used to host the Tournament of Champions, and the Grand Del Mar's sprawling 18-hole course that feels a million miles away from San Diego while being smack dab in the middle of it. If you know people, there are also several worthwhile military-only courses, including one on Coronado "Island" that you can play with any active duty personnel or veterans. 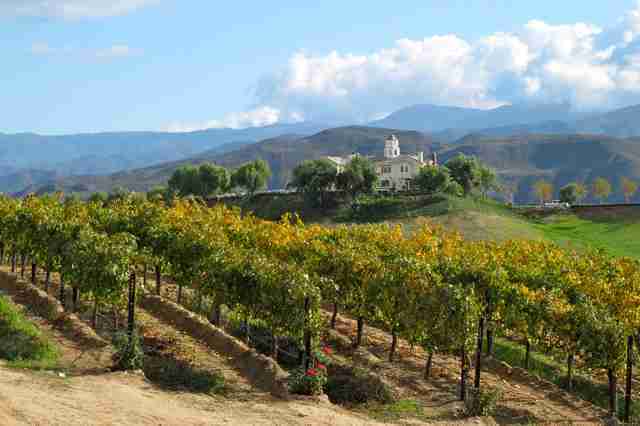 If you forgot your passport and can't head down to Mexico's Guadalupe Valley for your wine fix, fear not. 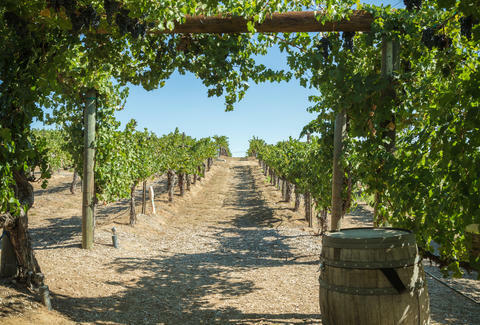 About an hour's drive north of the city, the Temecula Valley has everything you could ever want: bars, restaurants, more than 30 wineries pouring 50+ varietals, and even wild cats! There's a bobcat that lives on the Temecula Creek Inn golf course. I've seen it! Also, there are always tons of predatory, middle-aged women roaming around on account of all the wine and the close proximity to their natural habitats (LA, OC, SD). If the distance seems a little daunting for a boozy tour, there are a number of party bus or limo options that will help you find your way home, and let you get the tasting started a little early. You can check out a full list of the wineries, grab a handy map, and chart your course at the winemakers association site. Occasionally it will rain here, but we've got you covered. Cheekily located on Candida St (the scientific name for the genus of parasitic yeast that causes athlete's foot, thrush, etc. 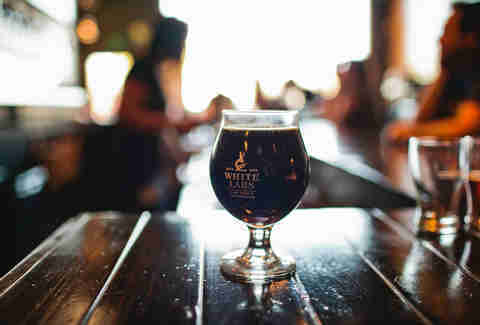 ), White Labs obviously ain't got hops, but does produce proprietary yeast strains for brewers around the world. Even if you aren't a beer nerd, the tasting room provides a really cool glimpse into the lab, and an opportunity to taste how different yeast strains can affect the finished product. To show you the range, they start by brewing several batches of a given variety (IPA, for example) with the only variable being the strain of yeast used for fermentation. All other variables like temperature, timing, and hop amounts/varieties are kept identical. You'll be amazed at how a little organism can so drastically affect taste profiles. Or at the very least, you'll drink a lot of beers. Kyle Hall is a theoretical novelist who prides himself on staying ahead of the technological curve. Follow him on Vine @MrKyleHall.